COMMENTS: The car is in excellent shape, no rust, runs well, never seen snow. I am the third owner. 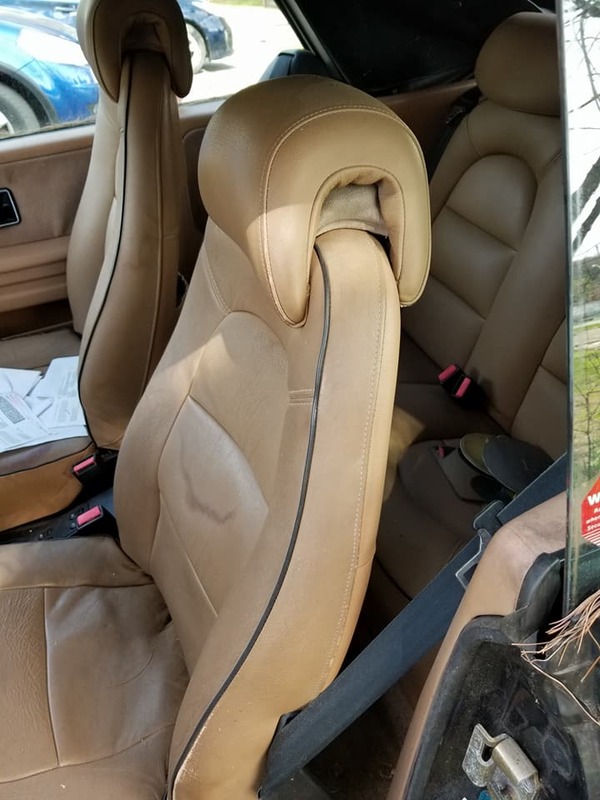 The last owner had it for 3 years and really didn't know what he had. He bought it cause it was a convertible. The owner before him had it for approx 12 years. 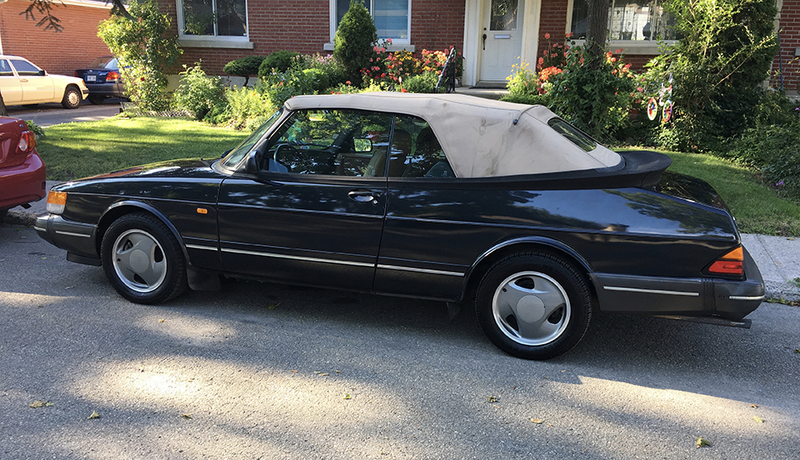 COMMENTS: Bought it from previous owner here in Ontario. Most plastic or rubber parts (bumpers) were warped because of rust-proof oil. 'Will need a moderate restoration. 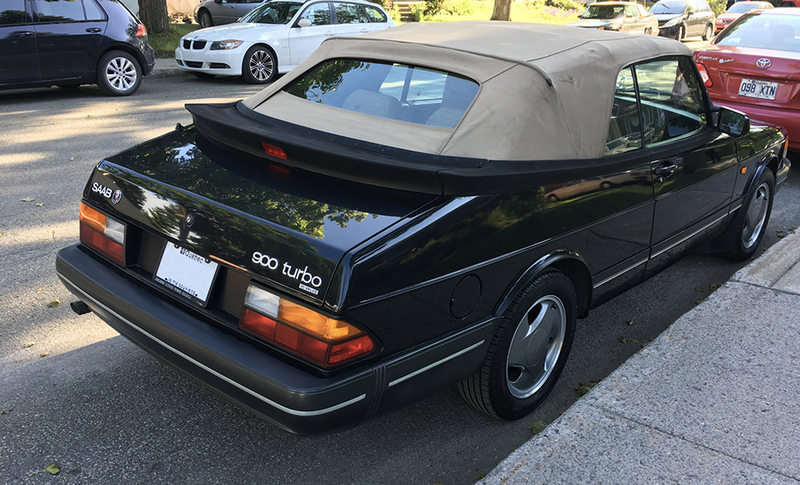 I was looking for a turbo model, and secretly hope for a CE. 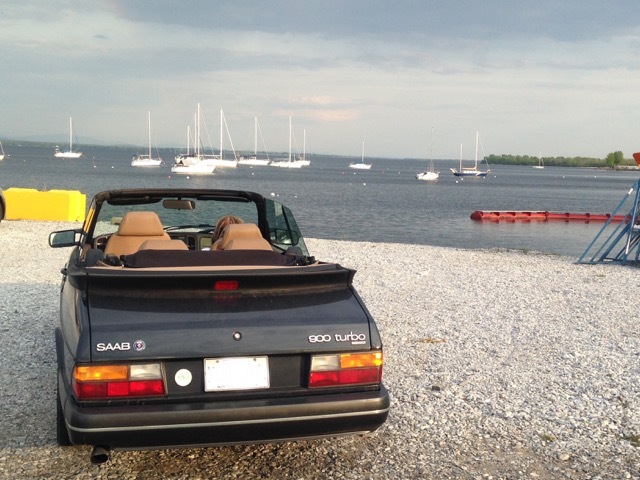 So wrote to previous owner here in Ontario Canada to inquire if it was still for sale back from 2012, and fortunately it was still for sale. I am thankful for his response back and thankful for this website as well. 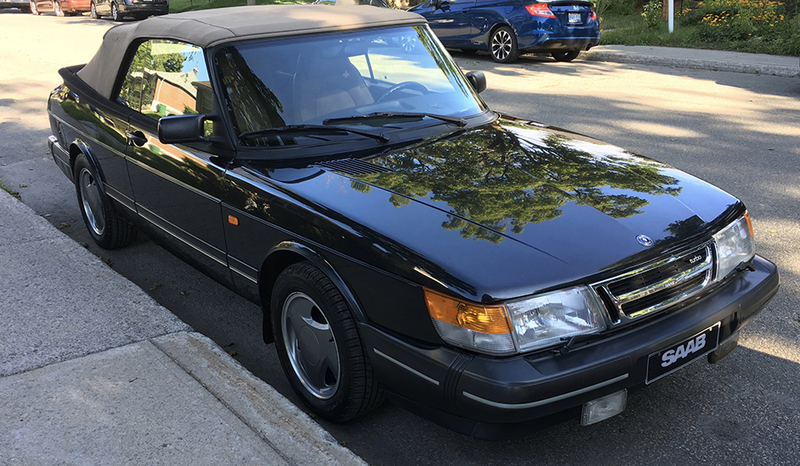 PREVIOUS REGISTRANT: ( John DeGroot, 5/2008, 210,600km, Oakwood, Ontario, Canada [Updated 6/2012] ) I have driven saabs for years and then switched to volvo when the newer saabs became GMs. 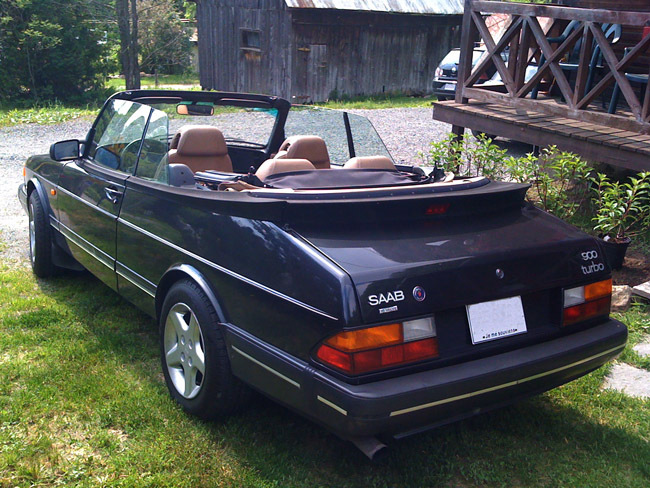 I was browsing through the auto trader a few years ago and found this car and because it was the last of the true saabs decided to buy it. I just recently found out that it was a Commemorative Edition because of this website. UPDATE:For Sale 6/4/12. SOLD. 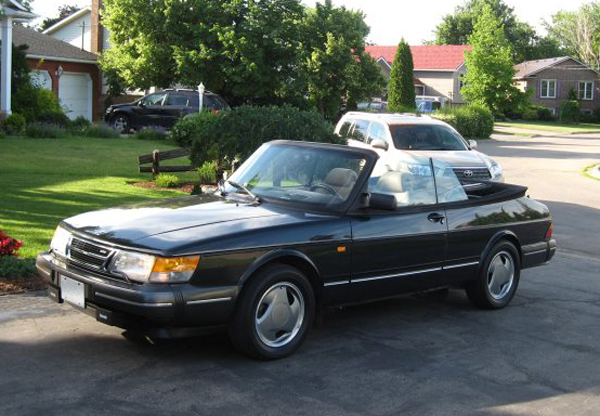 COMMENTS: I am second owner, car was always garage kept, it is impecable, still mint. 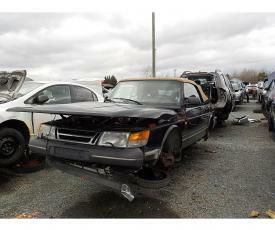 COMMENTS: Local car, dealer-sold in Edmonton AB. I believe I am the fourth owner. 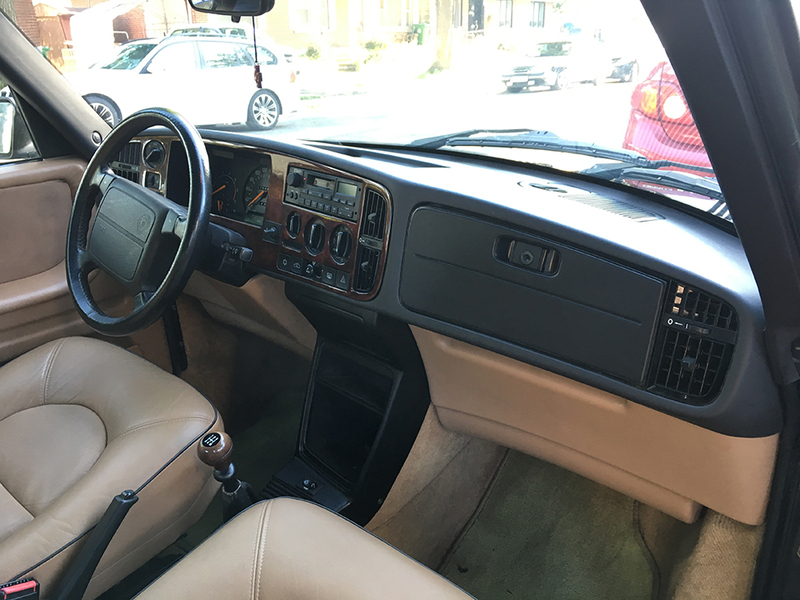 Car is unmodified and in very good condition, some cosmetic touch ups required. Full top and liner replaced in 2014, air dam replaced and bumpers repainted at the same time. 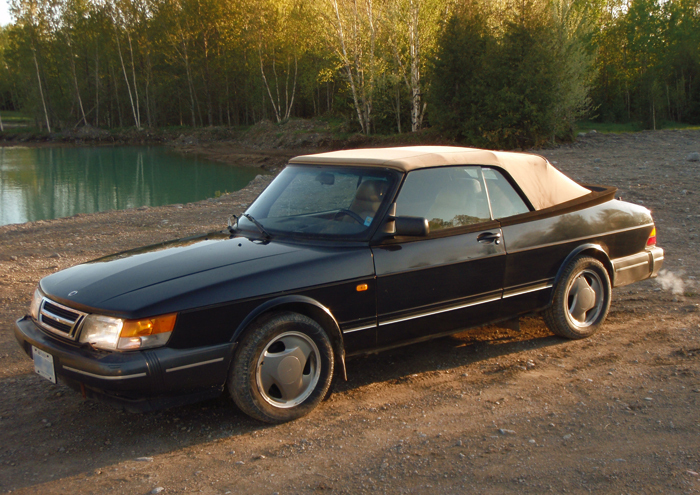 PREVIOUS REGISTRANT: ( Rob Cameron, 5/2008, 189,000km, Edmonton, Alberta, Canada) My car is stock. Well looked after but not mint. For sale 05/08/08. SOLD. 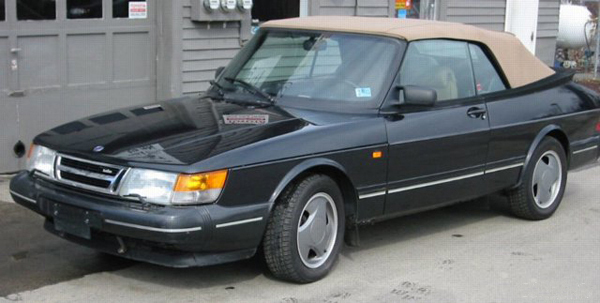 COMMENTS: Seen for sale on Saabnet. Submitted at large. 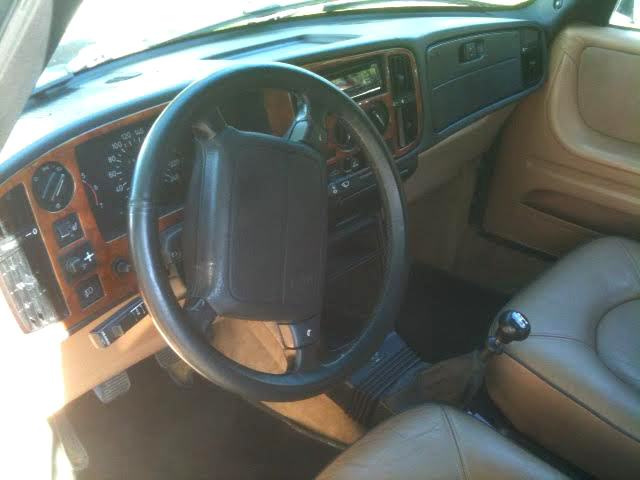 From the listing: Runs great, turbo spools strong and all five gears shift smoothly. Body is solid, although there are a few dents and spots with surface rust. Oil has been just changed, engine runs very smooth. 5 speed manual. The radio isn't working and the electric top motor isn't functioning, but not sure if that's electrical relay or the actual motor. It opens and closes manually. For sale 9/14/18. PREVIOUS REGISTRANT: (Franny Preston, Saranac Lake, NY, USA, 6/2018, 92,523 mi.) 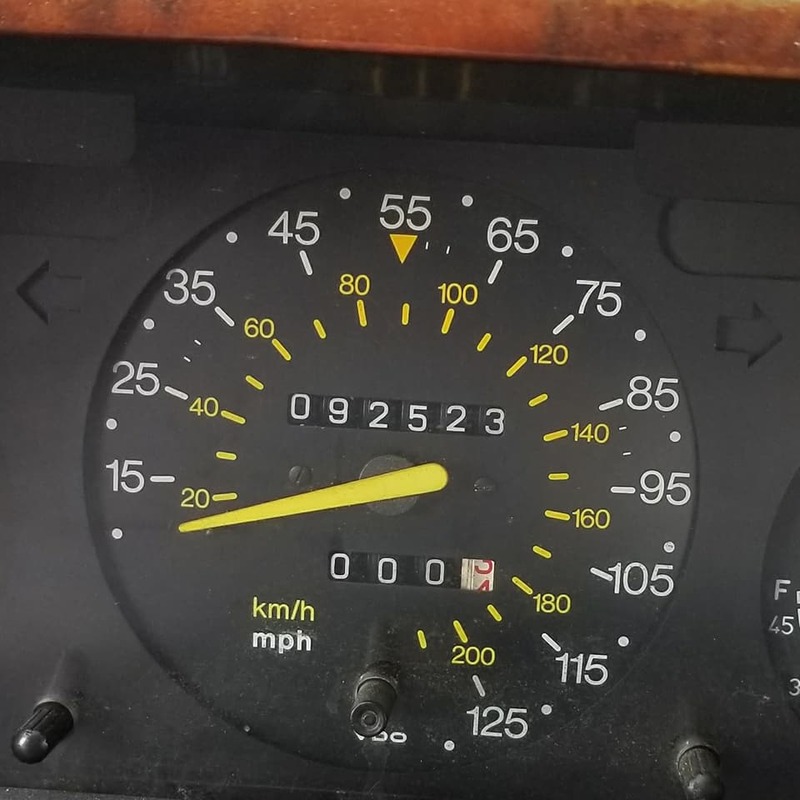 This car has a Canadian VIN, but has a US (mph) speedometer. SOLD 8/2018. COMMENTS: CE with optional Aero body kit originally purchased in Montreal, Canada. 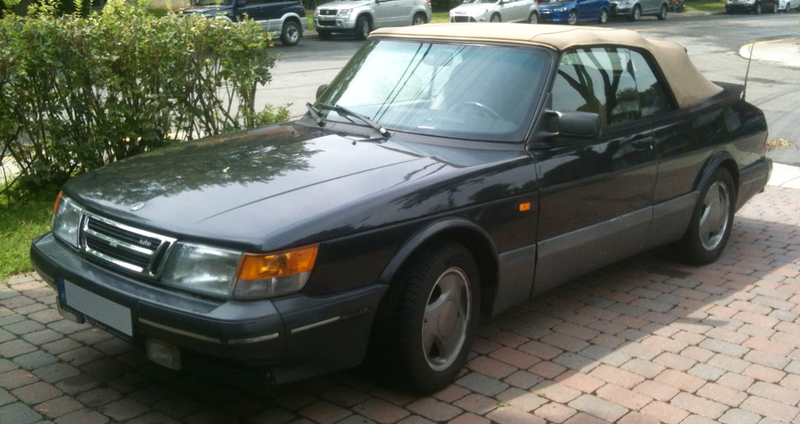 Servicing by local SAAB 900 specialist. 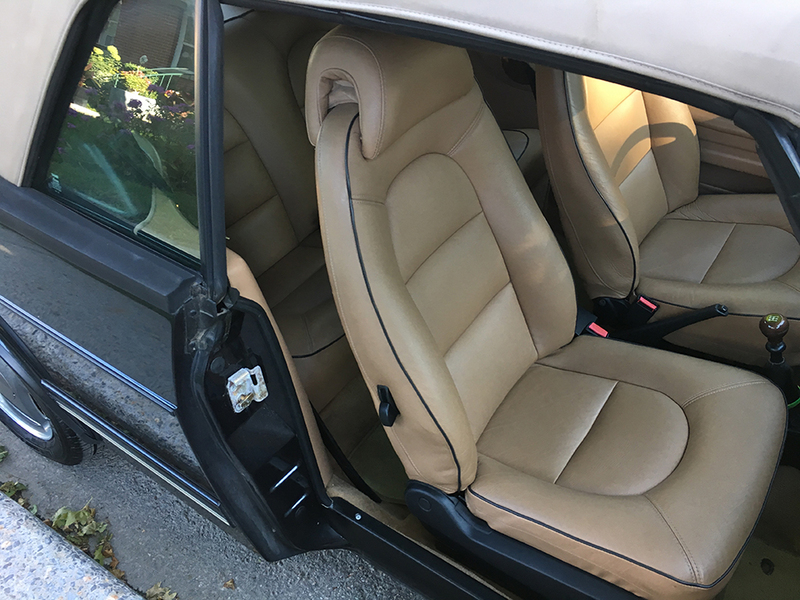 Body and interior in good condition. Great mechanical condition. COMMENTS: Originally purchased in Montreal, Quebec,Canada. Was not winter driven. Was not used for 12 years and kept in a heated garage. An absolute time capsule. COMMENTS: Purchased last year at Beacon Motors in Toronto. 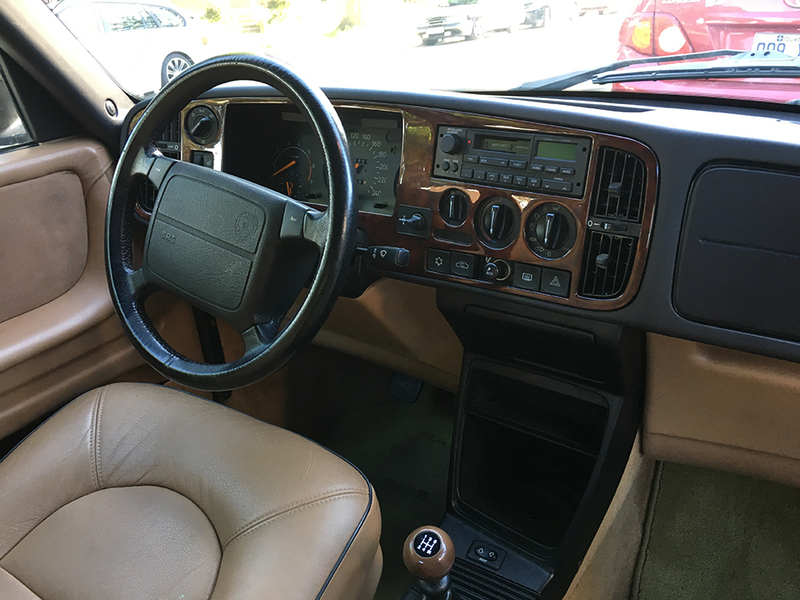 Mechanically sound—no rust and original paint still good; everything works except heated seats and cruise control. Had new top installed after purchase. I drive it for six months only and use it regularly. Burns about a liter of oil betwen changes. 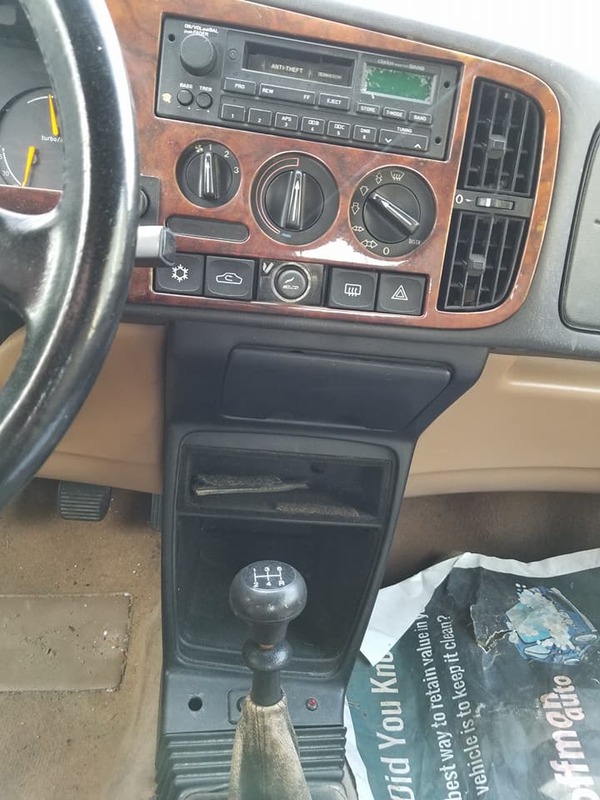 No major modifications—poorly working stock radio had to be replaced. COMMENTS: Seen at a salvage yard. Submitted at-large. COMMENTS: I talked with a guy about wanting a project car. He said he had something that may interest me in his backyard in a shed. The car had a small crash ( in 1997 ). It was suposed to be repainted. The job was never done. The owner dosen't want it anymore--has another project. 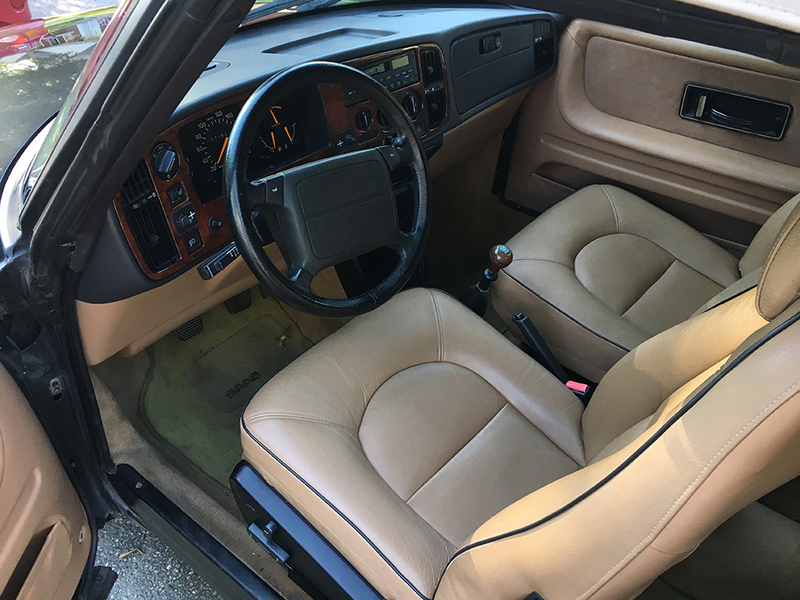 Inside of the shed, was a car with dust on it, top color beige, original tires and 65,417 KM (not miles!!). 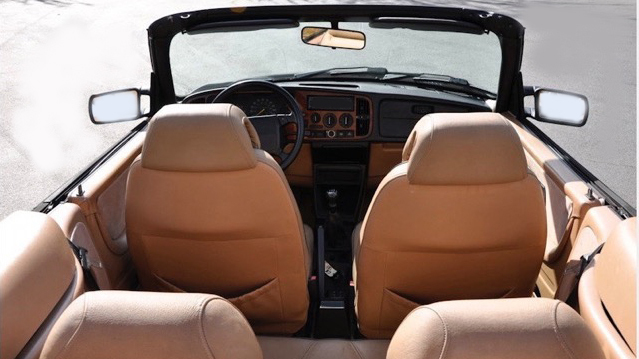 Under the hood, exceptionally clean motor with a 'red box' in fender. 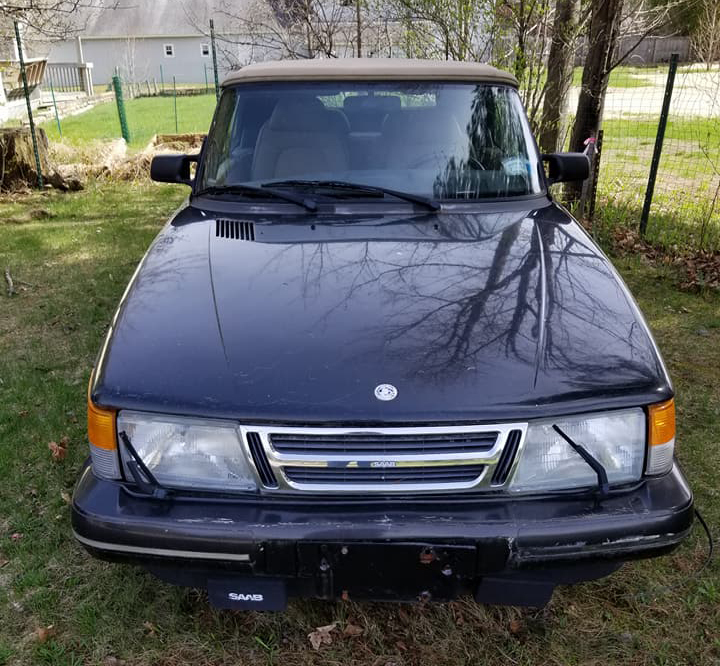 One month ago, I know nothing about SAAB. Today I am really excited !!! 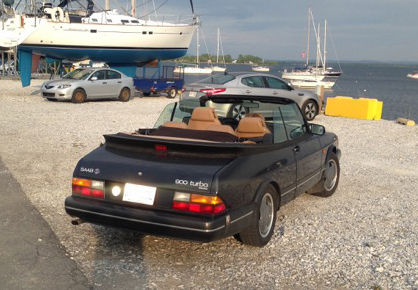 COMMENTS: I am the second owner of the car and I purchased it from the original owner in Oakville Ontario. 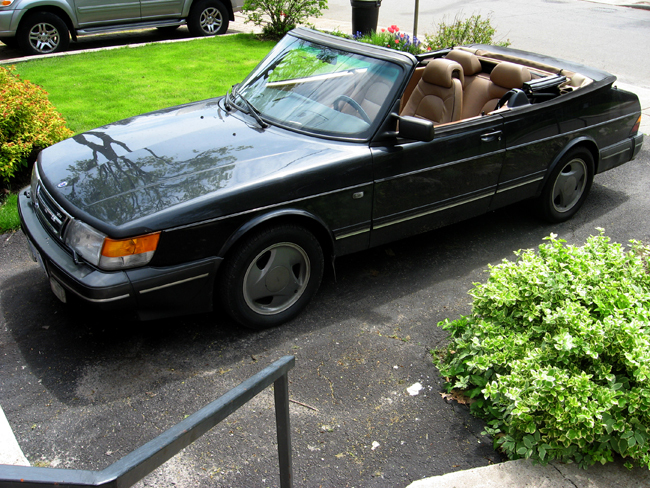 The car has never been winter driven and is in immaculate condition overall nor has the car ever been in an accident. COMMENTS: The car was sitting in a SAAB shop with the transmission gone. I bought it for my wife not knowing that it was something special. Had the shop fix the transmission as well as new seals and water pump. The car had been serviced by the shop for the last 10 years. 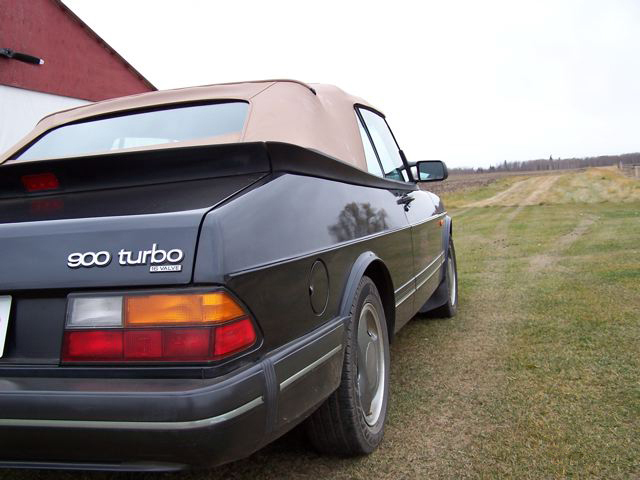 I have a 1990 900 SPG that I got from them, so I was comfortable with the shop's reputation. 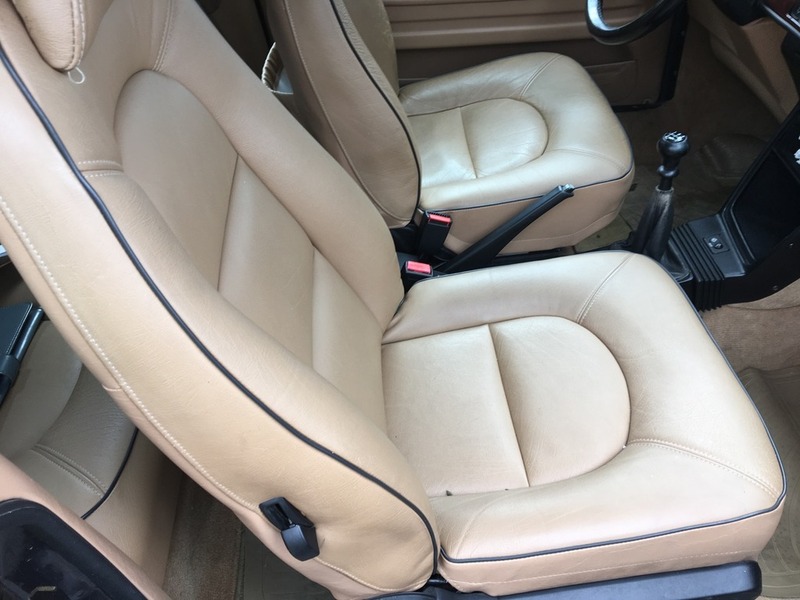 The car is in great shape... original paint, seats are without rips or seam separation, top is perfect, dash is not cracked, glass is also original. 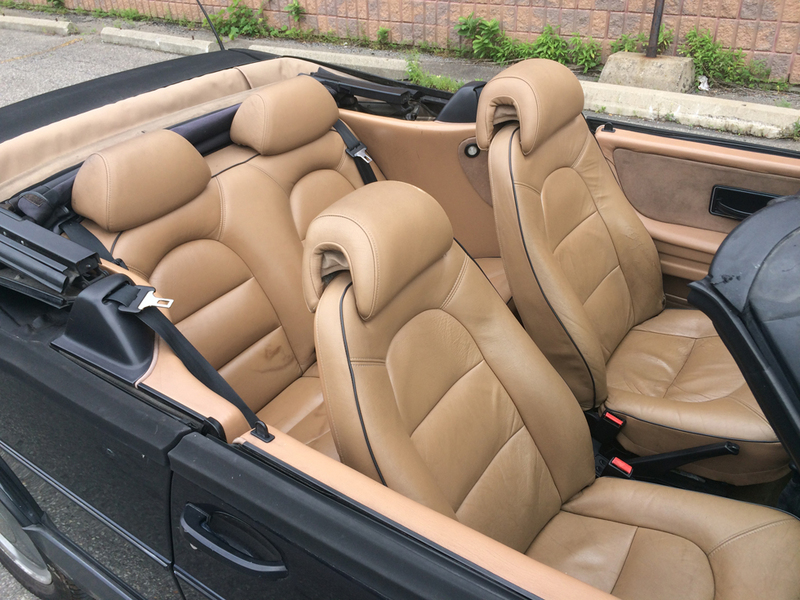 Great car, however my wife does not like tan... interior and top are tan.